When you think about people who stay in abusive relationships, your reaction might be to ask, "Why don't they just leave?" But the truth is, leaving an abusive partner is much easier said than done. It's also important to note that someone's choice to stay doesn't necessarily reflect who that person is. It doesn't matter whether he or she is educated or not, "tough" or delicate, wealthy or penniless. Anyone can be a victim, and the situation is rarely that clear. 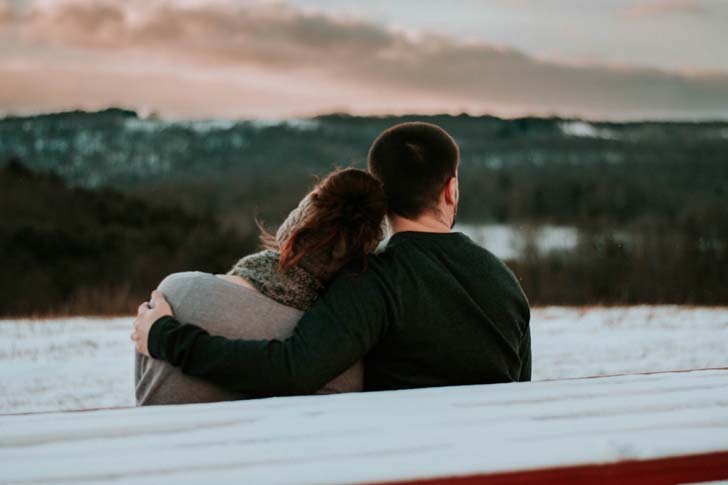 To get a better understanding of why it's so difficult to leave abusive partners, we spoke with psychotherapist Avery Neal, who shared five of the most common reasons why victims stay. 1. They're more invested in the relationship. [post_ads]"Often the attachment that someone has to their abuser is stronger than in a normal relationship because they've worked so hard in the relationship to get it back to the way it was in the beginning. And there's this assumption that if they keep working harder and harder in the relationship, that they can make it work, and things will go back to being good the way that they were in the beginning. That keeps a lot of women sort of hooked in this toxic dynamic thinking that, 'If I do this just right, or if say it this way, or if I give him this, then he'll love me again, or he'll be kind to me again, and things will be OK."
"[Abusers] don't start off aggressively. The aggression and the control happens gradually over time, and so often the actual abuse doesn't show up until you're pretty committed in the relationship and the abuser knows that they've got you and that you're not likely to go anywhere." "If they're heavily invested in the relationship through marriage, or finances, or children, it's not as easy to untangle yourself. And then, of course, once children are involved, a lot of women [and men] are scared to leave because they don't want the abuser to be alone with the children, or they don't have the financial resources to fight their abuser, or they're afraid that they will lose their children. A lot of abusers are very intimidating and scary to cross." 4. It's hard to see the situation clearly. "We go into a relationship and we see the person as being one way. They present the best part of themselves to us, so we really begin to sort of fall in love with that image and we get attached to that image. And then what happens is, over time, as more and more behaviors show up that sort of go against that image, or are counter to that image, it doesn't really make sense. A lot of times in an abusive relationship, the person has spent so much time working to get back to that image that they thought the relationship would be; they're in so deep, they don't see that that's not really reality. That that doesn't exist. That this other side and these other characteristics really are defining the relationship." 5. The victim has nurturing qualities. "If we're someone who tends to be overly responsible, very empathetic; if we're someone who tends to sort of want to rescue — those are some things to look out for to kind of protect ourselves moving forward, so that we're less vulnerable to falling prey to somebody like this." No matter what the circumstances are, there are ways to help him or her out of their situation. Let them know that you're here for them and that there are other options than staying. They may or may not accept your help now, but knowing they have someone to go to when they're ready could be the final push they need. Abuse is never OK. If you or someone you know is in danger, there are resources available in your state, as well as the 24/7 National Domestic Violence Hotline (1-800-799-7233). Know that you are not alone, and that staying is not your only option.